Hear the recreational fishing update concerning summer flounder. Special guest is Adam Nowalski, an advocate for recreational fishermen at the ASMFC, Atlantic States Marine Fisheries Commission and MAFMC, Mid-Atlantic Fishery Management Council. Difficult to enact so-called ‘slot limits’ … because you need both minimal & maximum size. Feds only require minimum at this point. Federal is waters beyond 3 miles. 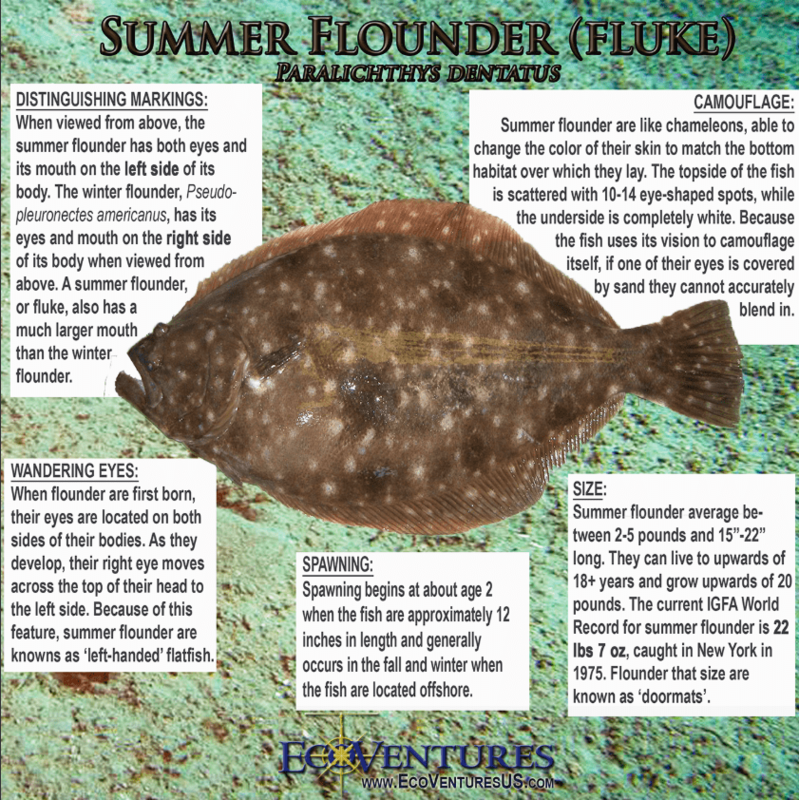 Large flounder are breeders. Males dying off at 18 inches. Robin Scott of Margate: many people who go out fishing in the summer… are families. Flounder is the so-called ‘starter fish’. It’s vital to the industry. Mortality rate could be up to 60% in summer. These are the throw-backs. Bad rules are affecting the tourism economy of South Jersey. To date, local politicians have been mostly absent from this discussion. Local business chambers have also been mainly disengaged with NJ’s #2 industry. Our 2 cents: most if not all focus in South Jersey has been the protection of casino gaming and real estate. Where the big revenue is. Sketchy collection data. ex: Bigelow. Size, season and bag limit. About 10 years. Doesn’t seem to work for recreational fishery. Robin Scott. Mucking with stuff for the past 10 years. We’re on a path to annihilate the fishery, targeting female breeders. Why not do the stuff that actually builds the fishery? Federal fishery regulations are intertwined with State and regional management regulations. Modern Fishing Act. Senator Cory Booker may NOT be doing what’s in the best interest of New Jersey recreational anglers.